My clients are consistently doing interesting projects, and I love being a phone call away to be their partner in change. 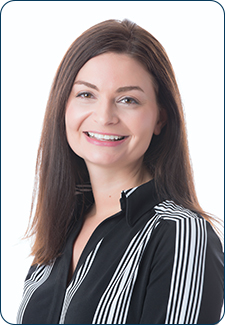 Amanda Buford brings a friendly and cheerful attitude to her clients and their tax planning needs. Focusing on high net worth individuals, her clients’ unique situations always keep her on her toes. Hardworking and thorough, Amanda enjoys problem-solving with them to find the best solutions. Completing her first tax return at Weinstein Spira, she joined the firm in 2008 and has never looked back. Inside the business, Amanda is a frequent tax trainer and leads all of the post-deadline debriefs. She values everyone’s input to consistently improve year-after-year. Away from her desk, Amanda is an avid chef and can be found cooking for her family. She also is a self-proclaimed “big time” Amazon Prime shopper. She loves ordering kitchen gadgets to use in her culinary adventures.